the Members Only section of www.corpsnetwork.org. Note: For security reasons, no Member logins from The Corps Network’s previous website were carried over to the new website. If you previously had an account, you will need to create a new one. Complete all fields. Note that passwords must be at least 6 characters long and contain a mixture of numbers, upper and lowercase letters, and at least one special character. Once staff at The Corps Network have approved your new account (should take within one business day), you will receive a confirmation email. 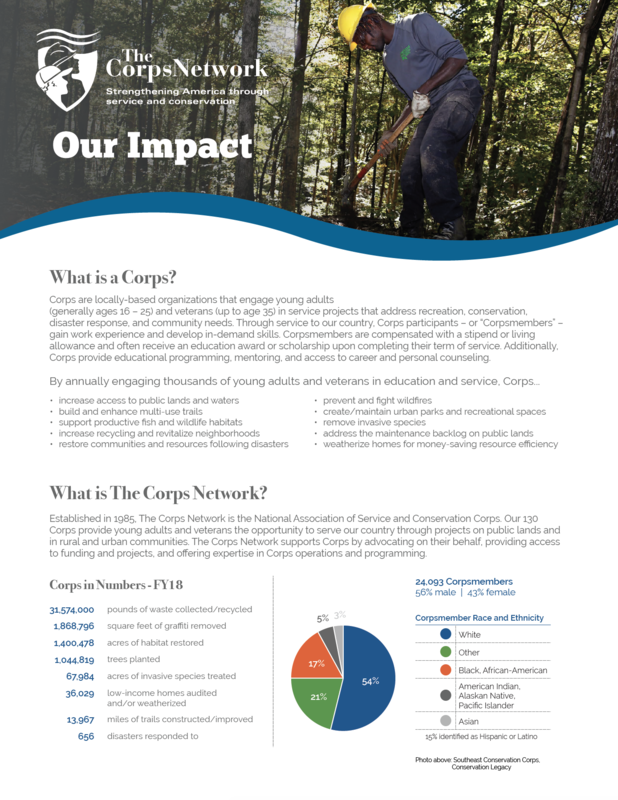 You can also get to this page by going to www.corpsnetwork.org/login. Input your username (your username is your email address). You should receive an email with a link to reset your password. Note that passwords must be at least 6 characters long and contain a mixture of numbers, upper and lowercase letters, and at least one special character. The email with the link to reset your password may not appear immediately. If you do not see it within 15 minutes of submitting your request, please contact Hannah Traverse or Grettie vonVorys-Norton. Also note that the email may have gone to your junk folder. Once you have submitted a new password, you can return to the login page to sign in.